The story is somber and compelling, not celebrating violence but exposing it as the consequences of packaging pleasure as a product, with willing consumers that do not look past their own gratification. Humans will do anything to achieve moments or ecstasy as part of their way to fully find joy or in an effort to escape pain when they seem to think life is not enough. The graphic portrayal of violence and perversion are disturbing and conflicting but necessary. Gustavo Santaolalla and Kevin Kiner masterfully crafted a soundtrack that keep us longing for delivery from the sadness but hold us softly as the story unfolds. The music uses sadness to accent the conflict between our general repugnance of pain and grotesque events and our desensitized perception that other similar shows use to make violence attractive and exciting. 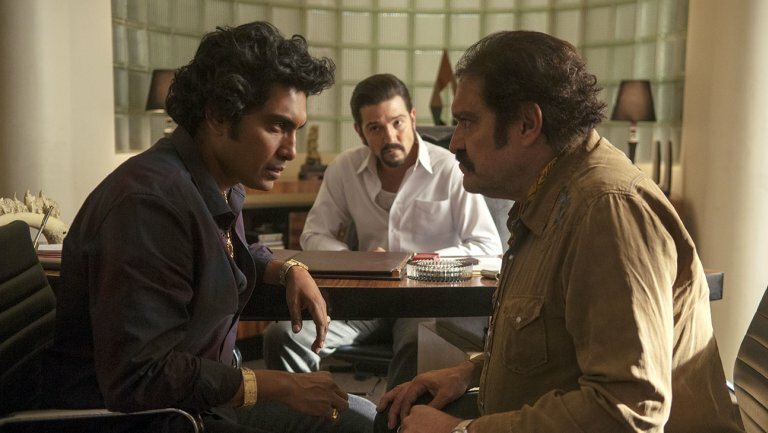 The storytelling gives us time to breath, gives us time to understand what and how the violence escalated and most surprising, it provides an unexpected amount of information on who was involved and who would need to be involved in the pillars of the Mexican government to make sure it happened, and continues to happen. We experience the most disappointing ghost of a Mexico that many of us know and see when we visit family and hear their stories of longing for opportunity, quashed by fear and anger, the frustrated picture of Mexicans who see but never experience the beauty and abundance of their land, they can’t afford it. The feeling that they live without a sense of connection because their homeland’s warmth and care continues to be taken from them through violence and dismissal. 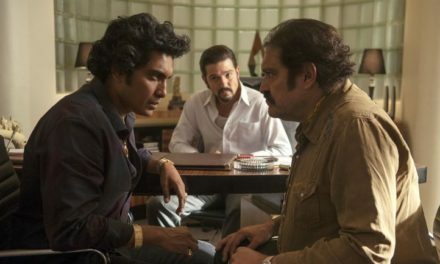 Diego Luna, Tenoch Huerta, Joaquin Cosio, Teresa Ruiz, Alyssa Diaz, Isabella Bautista, Michael Pena, Matt Letscher and the rest of the cast create an atmosphere that is truthful to the essence of those folks we would meet in this business; some kind and mild, others brutal and angry, some lost and absent, but all of them viciously violent. Narcos: Mexico is graphic, sad, violent and perfectly paced. It paints a picture that will resonate with those that have seen and experienced the changes that are being perpetrated in Mexico. This story is one that I never expected to be told as honestly and as practically as it is told; it must be watched and it will make you sad. If there is hope for change in the violence warping Mexico, this story does not show us any. NextHappy Thanksgiving 2018! Have a wonderful day with family, friends or with yourself! "Spotlight," is a tragic must see story. Hola México Film Festival 2017! Copyright © 2016 Landscape Latino, All Rights Reserved.